Alimony is a touchy subject for couples getting divorced, and is often a highly-disputed issue in the divorce case, assuming it was not earlier addressed in any prenuptial agreement. There is no set formula for how much support one party would need to pay the other, leaving courts with wide discretion over determining the appropriate amount. The court is required to look at the need and financial ability of each party to pay, which inherently requires an analysis of the parties’ income and other financial resources, among other factors, but beyond this examination, the only limitation on the court-ordered amount is that the payor’s net income cannot be substantially less than the recipient’s net income, unless there are special circumstances. 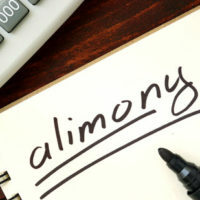 As a result, the party paying support could face a significant financial burden for years, though alimony is usually temporary and only permanent in certain uncommon situations. Further, the party receiving support could develop a need for additional assistance due to unforeseen circumstances. Because the respective situations of either or both parties could change, the law permits requests for modifications of alimony awards in some cases. A discussion of when courts will consider granting such changes will follow below. remarriage by the party receiving alimony. Note that voluntary job loss would not be considered a substantial change in circumstances, and the standing alimony order would remain in effect. Further, the court will look at the parties’ current financial situations, compared to those that existed at the time of divorce, when deciding if reassessment of the alimony award is necessary. Which Alimony Awards Allow Modification? As alluded to above, only certain alimony awards can be modified or terminated early. Thus, when deciding whether to seek a change in the alimony order, the first determination must be whether the current order is alterable. Florida has several types of alimony, each with its own set of rules on modification and termination. Bridge-the-gap alimony is given to ease the transition from married life to single life, and, since it is short-term and temporary in nature, being limited to two years at the most, is not modifiable in amount or duration. Rehabilitative alimony is more open-ended and lasts until the person receiving support obtains the training and education necessary to support him/herself. Consequently, this type of alimony can be modified or terminated if circumstances change, as well as if the rehabilitative plan is abandoned or completed. Durational alimony is awarded for a set period of time, and is usually given for short marriages or when permanent alimony is inappropriate. This type of award can be modified in amount, but modifying the length can only occur in extraordinary circumstances. Permanent alimony, as the name implies, is meant to last for the remainder of the recipient’s life, though the death of either party automatically terminates the support obligation. In addition, it may be modified if a substantial change in circumstances occurs, or a new supportive relationship is formed with another partner. Alimony awards are a key component of many divorce settlements, and should only be consented to under the advice of an experienced divorce attorney. If you have questions or concerns about your alimony award, contact Orlando’s Donna Hung Law Group about what you can do to change or end this obligation. These attorneys know how to build and present strong arguments in your favor, and are available to evaluate the facts of your situation. Call the Donna Hung Law Group at (407) 999-0099 today for a confidential consultation.